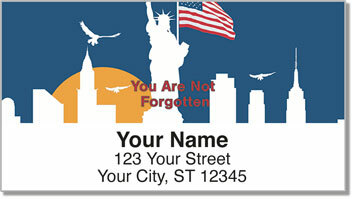 No collection of patriotic products would be complete without a design to commemorate prisoners of war and those who went missing in action. For the families of the American soldiers, sailors, airmen and marines who have been captured or lost in combat, the thought of their loved ones never coming home is excruciating. 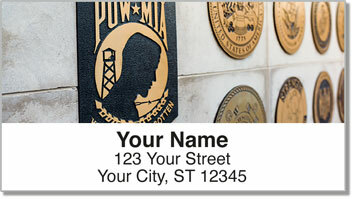 We owe them the debt of remembrance, and that's what these unique POW MIA Address Labels and matching POW MIA Personal Checks are all about. These bold and daring symbols of captivity are not for the faint of heart. 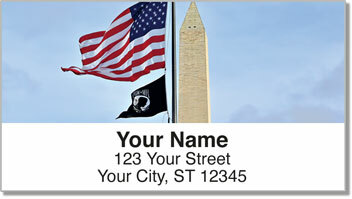 They're for people like you-people who are willing to face the ugly truths of war. 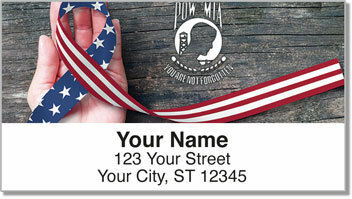 Make our POW MIA line of personal office accessories yours today.